Have you ever gone through a famine in your life? In this Bible study on Naomi, we will look at how God turned one woman's famine into a bountiful harvest. We will learn how, even in her darkest hour, God's plan was working to shine His light on Naomi's life. Though she felt abandoned, He had in no way forsaken her. In all of her darkenss, God had left Naomi a ray of hope. 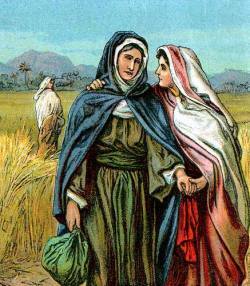 This is the first of two Bible studies on the Book of Ruth. The next lesson with focus on Ruth herself. But, this Bible study on Naomi is here to give you hope in your life's driest seasons. Your Bible study on Naomi begins with a great famine. It is rather symbolic really, because, like the crops in Bethlehem and Judah, Naomi had to watch as those around her that she loved and cherished began to wither and die. Taken to the strange land of Moab in search of a better life, it was there that she experienced her first lost. It was her husband, Elimelech. Now, Naomi was a widow. She was miles away from any family, and was left with two sons to raise - Mahlon and Kilion. Eventually, her boys became men, and took wives of their own from among the pagans of Moab - Orpah and Ruth. Though Naomi's story only begins in Ruth 1:1. By Ruth 1:5, before either of her sons could even bless her with a grandchild to carry on their family's lineage, "both Mahlon and Kilion died. This left Naomi alone, without her two sons or her husband" (Ruth 1:5 NLT). Can you even imagine? She's out in the middle of no where, in a land of pagans and idol worshipers. And, now, every member of her family is gone. She feels like she has been left with nothing. Have you ever felt like that before? Like everything in your world was crumbling around you. Have you ever known a grief so deep that you felt there was no hope for restoration? That is how Naomi felt. And Naomi blamed God. 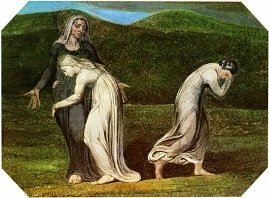 Now the head of her family, Naomi decided to take her two daughter-in-laws, and move back to Judah. She had heard that the Lord had once again caused Judah to prosper and produce food, and decided to return to her true home. But, as they began to travel, Naomi realized that she had nothing left to offer these young girls. No wealth for them to inherit or sons for them to marry. So she pronounced a blessing over them, and told them to go back to their families, and their gods. ...Go, return each of you to her mother's house. as you have dealt with the dead and with me. each in the house of her husband! After much insisting from Naomi, Orpah agreed to leave, but Ruth did not. You see, Naomi was not alone after all. Though she thought she had been forsaken by all, she did have someone left who loved her, and refused to leave her side. Her daughter-in-law Ruth pleaded with her. for where you go I will go, and where you lodge I will lodge. Where you die I will die, and there will I be buried. Regardless of how Naomi may have felt, God had not utterly abandoned her. 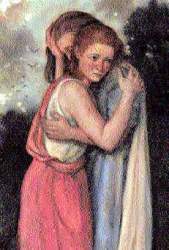 In Ruth, He had left her a hope. Though God's plan to restore Naomi was indeed in motion, she herself could not see it. All she could see was her own pain. but the Lord has brought me home again empty. But, indeed, Naomi had not returned as empty handed as she had thought. Sometimes when we are in our darkest hour, all we can see is the dark. We can not see God at work, shining His light into our darkness. by troubles, but we are not crushed. God had not abandoned Naomi, and He was not going to let her be destroyed. God had a plan to restore her and bring her hope. The beginning of that hope was revealed in Ruth, and it was completed in a man named Boaz. Boaz was related to Naomi's husband. Under Jewish law, he was one of two men who had the right to marry Ruth. In modern day society, it can be hard for us to understand why this is significant to Naomi. Why would she care if her daughter-in-law remarried? But, under Jewish law, if Boaz married her son's widow, it would "restore the name of the dead to his inheritance, that the name of the dead may not be cut off from among his brethren and from the gate of his birthplace" (Ruth 4:10 AMP). Whatever child born to Ruth and Boaz would be considered Naomi's grandchild, and restore her family's lineage. And there was indeed a child born. and may his name be famous in Israel. saying, A son is born to Naomi. Naomi's grandson was Obed - The grandfather of King David - The ancestor of Jesus Christ. God did not leave Naomi empty as she had thought. God used her to bless the world. God had a plan, as He always does. His plan was to give Naomi "beauty for ashes, the oil of joy for mourning, the garment of praise for the spirit of heaviness" (Isaiah 61:3). And, He has a plan to do the same thing for you. Have you ever felt like everything in your world was crumbling around you? Have there been times in your life when you've thought "The Lord Himself has raised His fist against me" (Ruth 1:13b NLT)? Why do you think that even though Naomi was bringing Ruth home with her, she felt that she was coming home empty? What can we learn from her incorrect assumption? Why do you think it is significant that Naomi was not just blessed with a grandson, but an ancestor of Christ? What does that tell us about what happens when God restores us? Based on what you've learned in this Bible study on Naomi, what legacy would you say that she has left for us as women of God? I pray that you have enjoyed this Virtuous Women in the Bible Study on Naomi. 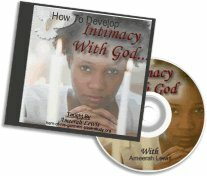 Be on the look out for other Bible lessons on women in the Bible. 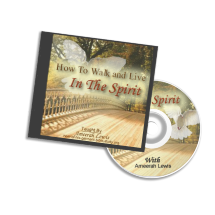 Finished with your Virtuous Women in the Bible Study on Naomi?